It is almost a guarantee that when something goes wrong with your home heating system, it will be when you need the system most. Fortunately, Larry & Sons offers comprehensive heating repair and maintenance services to all of our Hagerstown, MD area clients. Whenever you call us for service, we will have someone out quickly to assess the situation and get the heat back on fast. We work with all brands, such as Bryant, Carrier, York, Goodman, Amana, Coleman, Trane, and Lennox. Some heating problems are obvious – like when the whole system shuts down completely. But other problems can stay hidden for a long time, especially if you do not know what to watch for. When you do catch heat problems early, you can often save yourself a substantial amount of money and frustration because smaller problems are generally easier and cheaper to fix. Some signs that you should call for Hagerstown, MD heating repair include uneven or inconsistent heating in the different areas of your home, an overall decrease in the effectiveness of your heating system, an increase in your monthly heating bills without a corresponding increase in your heating usage, and any strange noises or smells coming from your heating system. When you call for a heating repair, we will have a technician out as quickly as possible to determine what is causing the problem and give you an estimate for the repairs. Once we receive your approval, we will move forward with repairs immediately, so you will have your heat back as soon as possible. Our heating technicians have access to all the latest diagnostic equipment available, and we use only the highest quality parts, so you can be sure all of the repairs we complete for you will hold up over time. In order to keep your heating repairs to a minimum, Larry & Sons is also proud to offer comprehensive heating maintenance services to all of our area clients. Even if we did not do your initial installation, we will be glad to take over care of your system for you. And just because your heating system is relatively new does not mean it cannot benefit from some annual maintenance as well. Different types of heating systems, such as an oil furnace or boiler, require different levels of ongoing care to ensure their proper function over the long term. But they will all recoup the majority of their lost energy efficiency after a professional tune–up. And because we inspect every part of your heating system during one of these maintenance visits, we will often see worn out parts or problem areas before they even cause noticeable trouble. All of this means you will need fewer repairs and that your heating system will work more effectively, which saves you money in the long term. 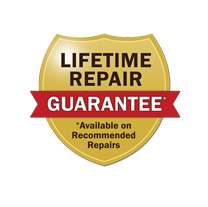 So do not hesitate to give Larry & Sons a call today to schedule a maintenance visit or request repair service. Larry & Sons provides top quality heating and HVAC services in Hagerstown, Frederick MD, and the surrounding areas, and we work with all types of equipment, including Bryant, Carrier, York, Goodman, Amana, Coleman, Trane, and Lennox.